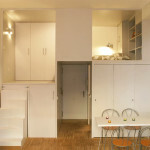 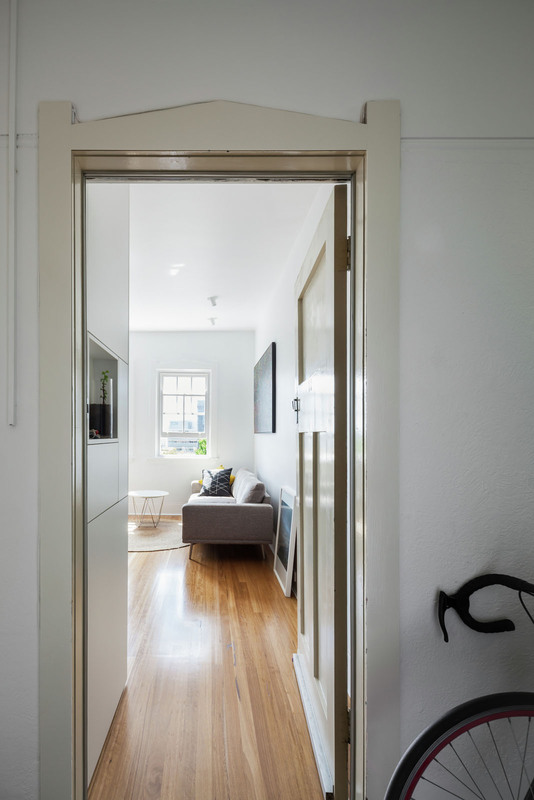 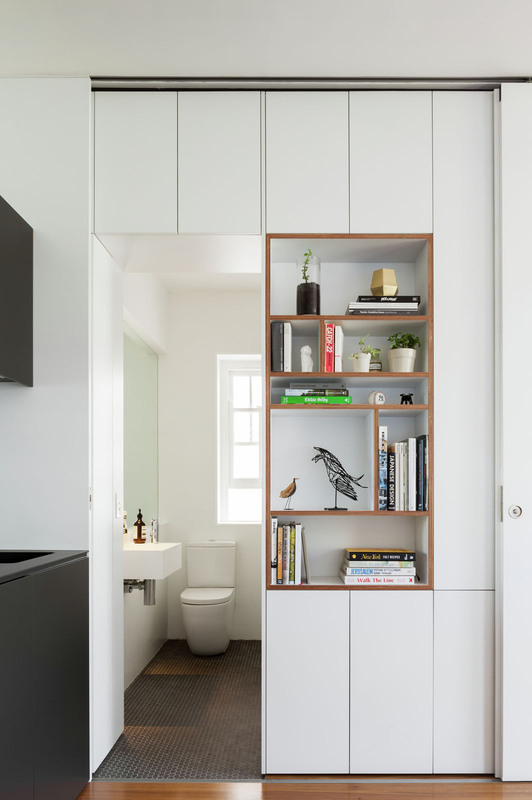 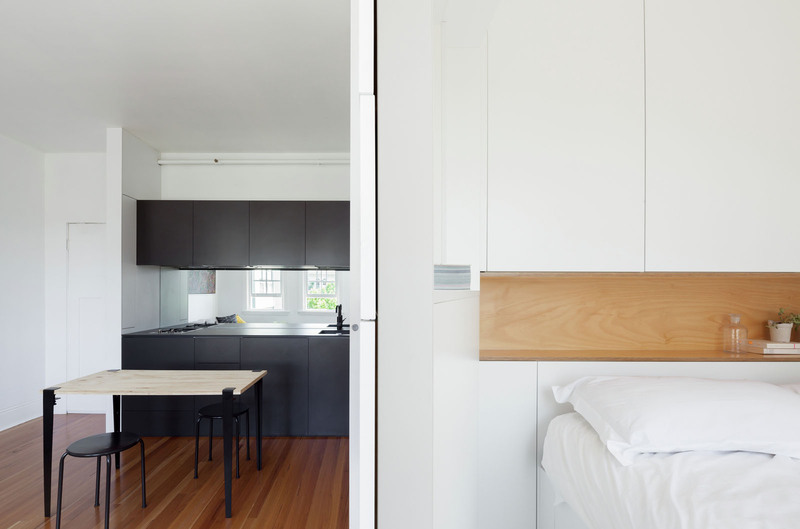 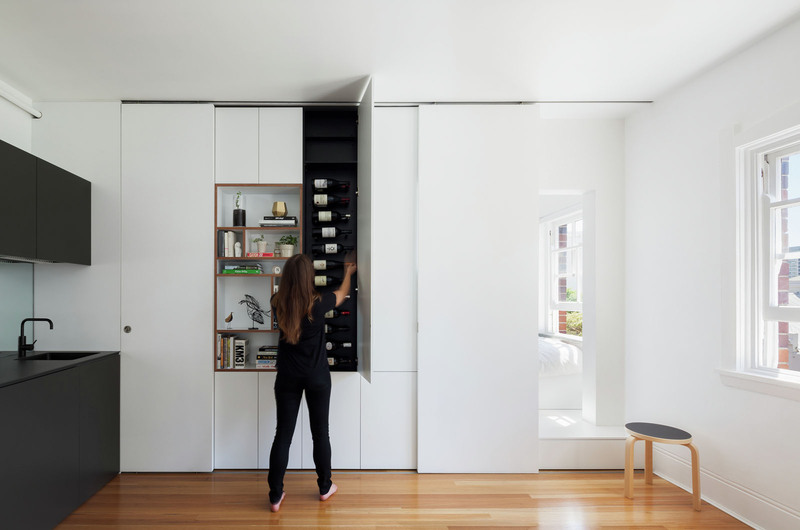 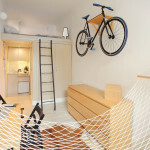 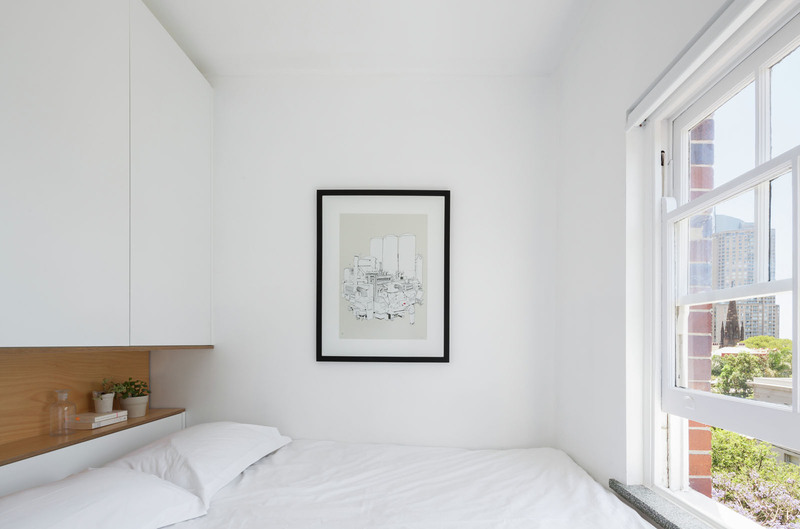 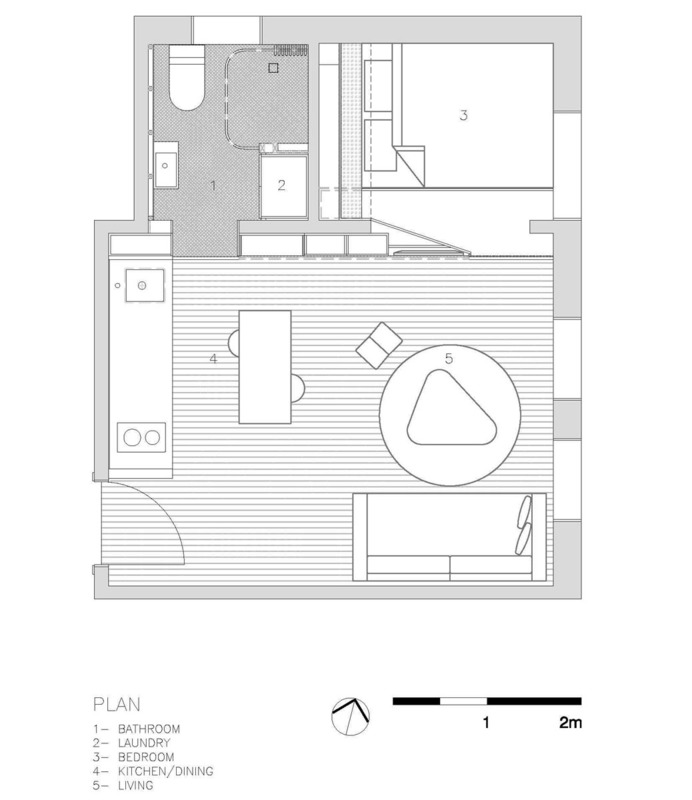 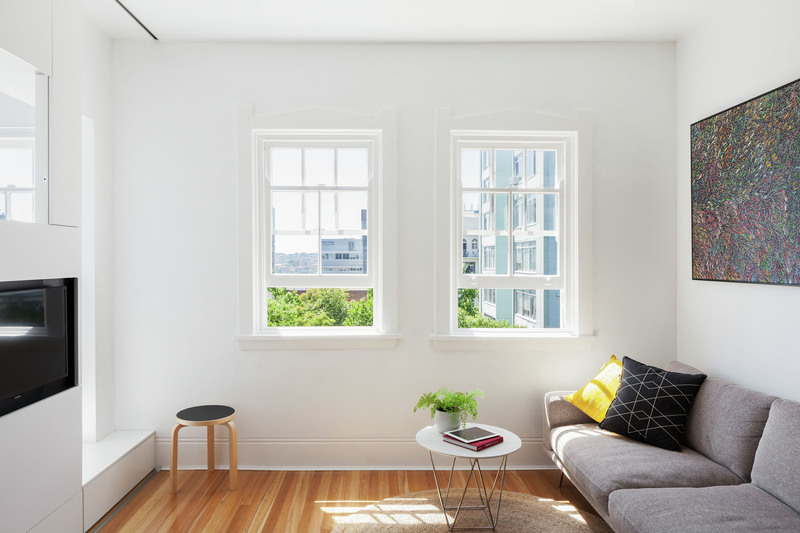 Designed by Brad Swartz Architect, this 27 square meter (290 square foot) apartment in Darlinghurst, Sydney, Australia divides the small space into two zones – public and private. 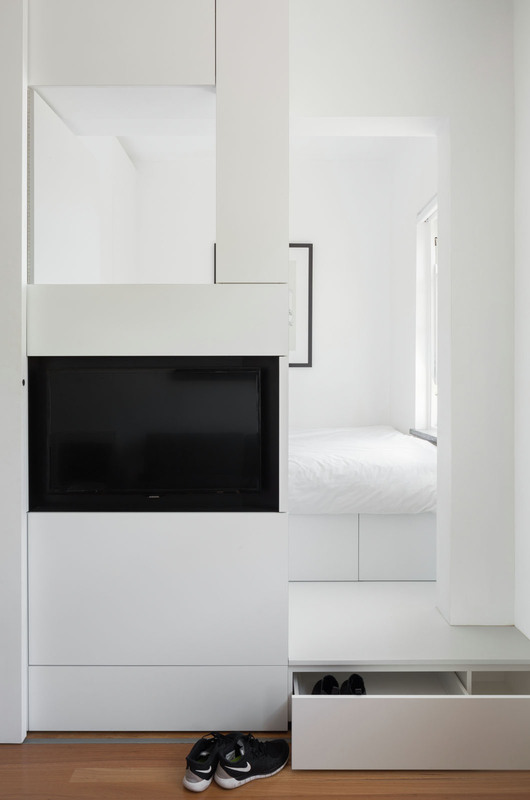 A minimalist design approach maximizes the feeling of space and light. 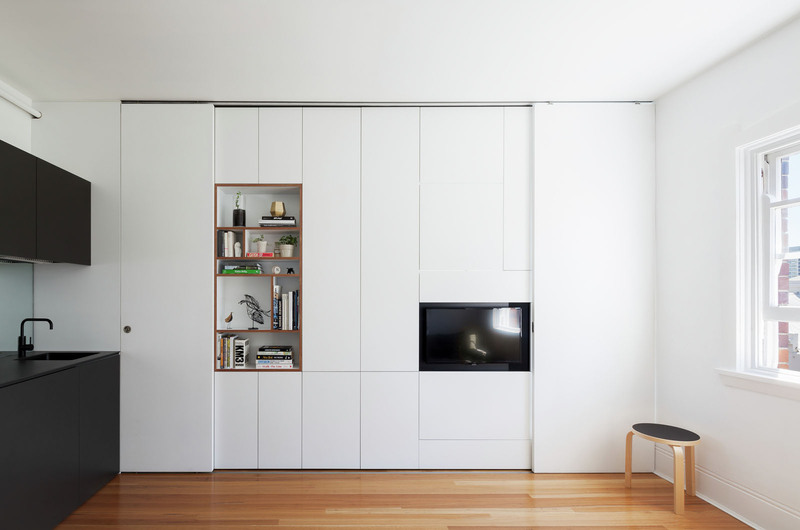 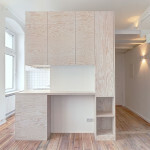 The private space is hidden behind a storage panel with sliding doors.